Nintendo will be losing significantly more money than expected. Nintendo predicts a net loss of 65 billion yen during the fiscal year ending in March 2012, according to their recent financial briefing. Originally Nintendo had only anticipated a loss of 20 billion yen. However, in the first nine months of this fiscal year, Nintendo has already experienced a loss of 48.4 billion yen; this increase led to the drastic raising of their net losses. The color swapping game for the 3DS will also see a release in Japan. Shifting World, based on the flash game of the same name, will also see a release in Japan thanks to Arc System Works. 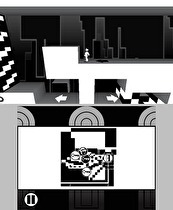 The game (which will be known in Japan as Shifting World: The Black and White Labyrinth) has players swapping colors in order to change what the character is standing on. The 3DS version will have new graphics as well as 3D puzzles. Nintendo releases the sequel to the NES classic in Japan for the first time. 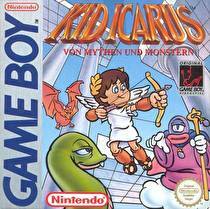 Kid Icarus: Of Myths and Monsters is coming to the Japanese eShop on February 8. The Game Boy sequel to the NES classic was one of the few Nintendo published games to never see release in Japan; instead, it saw release in both North America and Europe in 1991 and 1992 respectively. As it was never released in the Japan, the Japanese eShop release will feature English text, rather than Japanese. The game will cost 400 yen. The Sega titles have been officially rated by the ESRB. 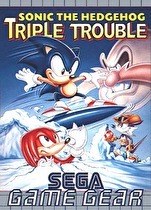 Shinobi and Sonic Triple Trouble have been rated by the ESRB for release on 3DS as Sega Game Gear Virtual Console titles. The film will be localized with official names according to region. The Ace Attorney movie will be released in other regions besides Japan, director Miike Takahashi confirmed in a Q&A session at the film's premiere in the International Film Festival Rotterdam in the Netherlands. The microscopic shooting adventure will makes its Japanese debut in April. Shin'en Multimedia's 3DS shooter Nano Assault has been given a Japanese release date. Set to make its debut on April 19, 2012, Nano Assault is a shooter in which players must defeat dangerous viruses using a special ship called the Nanite. In addition to destroying the virus, players can also analyze them. Multiple weapons can be obtained and harnessed within 32 stages. Players that have been successfully accepted may receive notices soon. Square Enix has sent out notifications regarding their upcoming beta test for Dragon Quest X to potential players in Japan. The downloadable RPG allows you to create parties by pointing the 3DS at people. Genius Sonority, the development team behind the Pokemon Colosseum games, has announced a new RPG for the 3DS eShop called Denpa Ningen. Unfortunately, the game might be region locked. 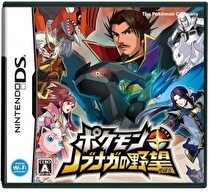 The crossover game Pokémon + Nobunaga's Ambition will have DSi-enhanced features. The musical Final Fantasy adventure gets a second demo before release. 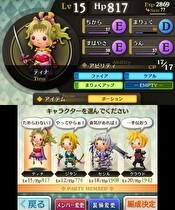 Square Enix's Theatrhythm: Final Fantasy is getting a second downloadable demo on February 1. The demo will contain two songs from the 3DS title: "The Man with the Machine Gun" from Final Fantasy VIII and "The Sunleth Waterscape," the field theme from Final Fantasy XIII. Tetsuya Nomura, director and designer of multiple Square Enix titles, confirmed the demo in several interviews. The collaboration hopes to expand upon the communication features on Nintendo systems. Japanese communications company NTT is working with Nintendo on developing speech recognition software, NHK recently reported. 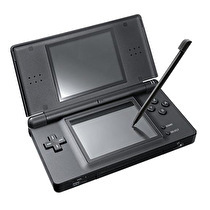 NTT developed software for the DS that can convert voices into text. The hope is that it would help children with disabled students do better in school. Nintendo supplied the DS units. The teacher's voice is converted by NTT's software into words that will be displayed on the device's screen. The highly successful toy-driven game is flying off the shelves. 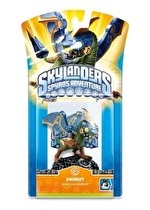 Activision is having problems keeping Skylanders in stock, but are doing their best to keep up with demand, Activision VP of Marketing John Coyne told Kotaku. February and March will be kind to Aussie gamers. 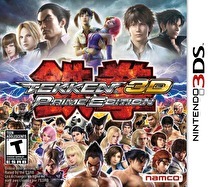 Nintendo Australia has announced that Tekken 3D Prime Edition will be available on February 23, 2012. March will also see the release of two more games, the first being Metal Gear Solid: Snake Eater 3D, which will be launching on March 8. The other is Kid Icarus: Uprising, which has no exact date as of yet. Like January, three titles will be revived, two for Neo Geo. February's Japanese Wii Virtual Console releases have been announced, and next month looks a lot like this month. 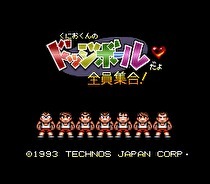 Wii gamers in Japan can expect two more Neo Geo fighters and a Kunio-kun dodge ball game. He plans to find a balance between flexibility and security. Nintendo President Satoru Iwata explained how Nintendo will use micro-transactions during a recent Q&A with investors at the recent financial briefing. The key to all of this might be in Nintendo Direct, as Iwata aims to "construct a seamless flow" that guides viewers through videos and demos. Nintendo President Satoru Iwata wants to eschew the idea that Nintendo is "cautious, conservative, or even negative about business on a network," as he responded to investors at the recent Financial Briefing Q&A. 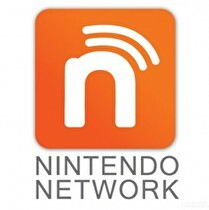 Nintendo's developers are also "taking into consideration [the system's] network-related capabilities." 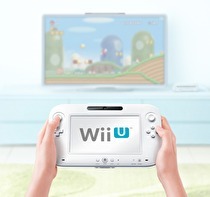 The Wii U controller's realization of the original concept of the Wii Remote is one of the main ways the system is unique, according to Nintendo's Genyo Takeda, senior managing director and general manager of the IRD division, who said as much during the Q&A portion of Nintendo's recent Financial Reports Briefing. The game was announced at a 10th anniversary event for the series. A fifth installment of the Ace Attorney games was announced yesterday as part of a 10th anniversary event for the series. No platform was given for the game, nor a release date. No further details about the game were revealed, and it is currently unknown whether there will be a release outside Japan. Capcom has acknowledged and will be fixing the mistake. 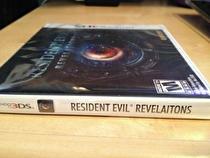 Box art of the North American version of Resident Evil: Revelations has a typo, publisher Capcom acknowledged. Images circulating the internet via Twitter, revealed that the typo is not just an isolated incident. The side of game's box reads "Revelaitons" instead of "Revelations." The premium-priced Resident Evil title for 3DS is now 10 dollars cheaper. Resident Evil: Revelations will now be priced at $39.99, Capcom announced through its community blog. Originally, Revelations was priced at $49.99 due to the game being on a more expensive 4GB cartridge, making it one of the few 3DS titles to be sold at that price. While Capcom maintained that the value of the content justified the original price, after "weeks of effort," the company was able to lower the game's price.